Canon improves their 5D Mark model every several years. So this Canon 5D Mark IV vs. Canon 5D Mark III comparison guide should help you decide if it makes sense for you to upgrade your setup or not. The Mark IV was released four years later than the Mark III. Therefore, it has benefited from four years of technological upgrades. Those include sensor improvements. It also includes new technology like Dual Pixel Raw. Those are in addition to new video standards like 4K. The Mark III does have a slightly better battery life, however. It also still has very impressive processing technology. It is a solid choice as far as DSLRs go for most all-around photographers. This guide should help you determine which is better for your situation. The newer Canon 5D Mark IV is almost identical in size to its predecessor. It measures 151 mm x 116 mm x 76 mm vs. 152 mm x 116 mm x 76 mm. However, it does weight 60 grams less. It weighs in at 890 grams vs. 950 grams. The weight loss is due largely to several redesigned internal systems. One benefit when choosing between these two professional DSLRs, particularly if you own an older model or similar Canon body, is the fact that the same lenses are compatible with both. This means that there are 25 standard zoom lenses, 26 wide-angle zoom lenses, 50 telephoto zoom lenses, and a total of 256 compatible lenses for the 5D Mark IV and Mark III. 230 of these are full frame lenses that can be used with either camera body. The design of the body itself is very similar. However, it has been slightly improved in the four years between the release of the Mark III and the Mark IV. Mainly, the grip on the IV is a little bit deeper. In addition, the bump on the top of the camera body is marginally bigger. That helps it to accommodate the new Wi-Fi/GPS unit. The low light end of the ISO range on the Canon 5D Mark IV has been stretched further than the Mark III. It has an upper limit of 32,000 instead of 25,600. Both pro and beginner DSLR photographers are unlikely to use their camera at such a high ISO level due to noise. However, many have noted that the Mark IV performs better at the upper reaches than the Mark III did. There is one exciting piece of new technology on the Mark IV that is missing from the Mark III. It is called Dual Pixel Raw. This enables you to make micro adjustments to the focus of your shot after you have captured it. This also increases the size of your already large raw files. You need to turn on a special mode in your camera before photographing. However, his feature can be amazingly useful for high-speed photographers who need to save slightly out of focus images. Both models have dual memory card slots. There is one SD slot and one CF slot. However, the older Mark III actually has the better battery life. The Mark III’s battery lasts for 950 shots, while the Mark IV lasts for 900 shots. This is not a large difference. But it is worth noting if you tend to work jobs where you shoot a large volume of images. The Mark IV also comes with 7.0 fps continuous shooting, which is slightly faster than the Mark III’s speed of 6.0 fps. This makes the Mark IV slightly preferable for fast-action photographers. 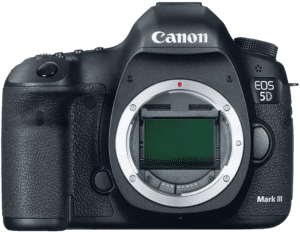 The Canon 5D Mark IV is four years newer than the 5D Mark III, meaning the newer camera body has benefited from four years of technological improvements. These improvements constitute one of the biggest differences between the two. One area where this is obvious is the two auto-focus systems. While both cameras have 61-point AF systems, all 61 points in the newer 5D Mark IV are cross-type, which is beneficial for wildlife and sports photographers. The camera’s interior also has a mirror box with a new design and mechanism. It is aluminum instead of the old stainless steel. That accounts for the DSLR being a little bit lighter. The weather sealing on the Mark IV is also new and better. The manufacturer upgraded the Mark IV to feature two processors. Those are the Digic 6 and Digic 6+. The Mark III has a single Digic 5+ processor. The Mark III’s system is still impressive. However, the dual processors are faster and more reliable since they complete different tasks. The Digic 6 works on metering while the Digic 6+ does image capture. Finally, the manufacturer has also upgraded the sensor. It went from a 22.3 MP sensor to a 30.4 MP sensor. Both camera bodies do feature full-frame sensors. However, the new model features a pretty serious jump in terms of resolution. It was designed to work well in a variety of situations. That is unlike higher models like the 5DS, which they primed for studio work. It is also unlike Canon’s R cameras, which they designed for high-resolution photography. The 5D Mark IV does have significantly improved video resolution, at 4096 x 2160 vs. the Mark III’s video resolution of 1920 x 1080. This is a significant difference since the newer Mark IV can shoot in 4K. Both cameras have built in microphone and headphone ports so DSLR videographers can record better audio and monitor it while they record to ensure quality. The 5D Mark IV has a few other built in features that make it the obvious choice for videographers and YouTubers, such as a touch screen that you can tap to adjust focus and built in Wi-Fi and smartphone controls which make the camera easy to operate without having to be behind it. The improved weather sealing allows the Mark IV to handle heat better, which is a big improvement that largely allows the camera to sustain 4K video recording. The main controls beyond these added features are largely identical between the two, making it an easy upgrade for videographers already using the Mark III to switch to the Mark IV. While both cameras have some shared built-in extras like a microphone and headphone jack for recording audio, the Mark IV is considerably more loaded with extra features. The Mark IV comes with built-in wireless and GPS, improved weather sealing, a touch screen and higher LCD screen resolution. It also has time-lapse recording, better dynamic range and support for UHS Memory cards. Neither camera comes with an articulated screen however, which may be difficult for some photographers to get used to if they currently have a camera body with this feature. They do both have a top LCD screen, a flash sync port and face detection AF points. Many of these extra features come in handy for photographers who tend to shoot in high speed environments like sports and wildlife, or for videographers that need to work on getting the focus spot on or filming without being directly behind their camera. While both cameras are reliable, high-performing DSLRs, the technological improvements to the Mark IV make it a much more appealing camera to many photographers. This model is the obvious choice for videographers in particular given the added features and the much higher video resolution. 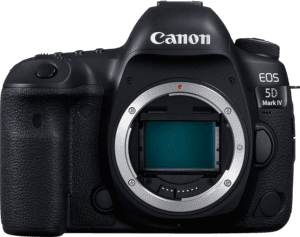 If you aren’t a fast-action photographer or videographer, however, the 5D Mark III may be the better choice for you given the lower price tag. 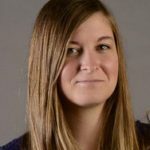 Megan Schill earned her Bachelor’s Degree in Journalism with an emphasis in photojournalism from the University of Missouri in 2013. She currently works as a photographer and freelancer in Southern California.